Marvel's Agents of S.H.I.E.L.D. 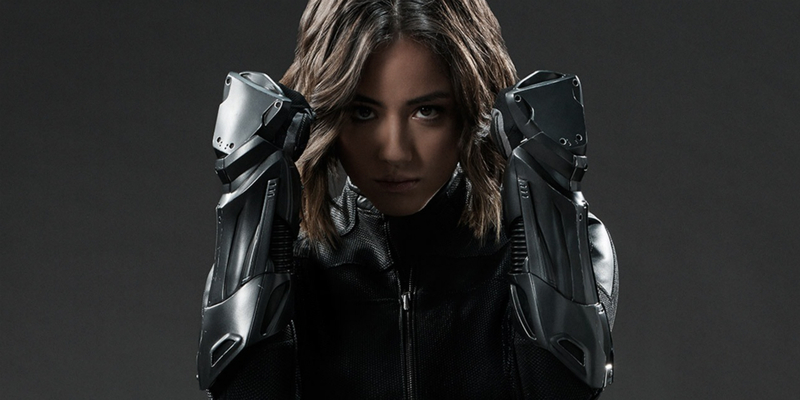 ended its third season on a fairly grim note, with Chloe Bennet's Agent Daisy Johnson (previously known as Skye) forced to watch as both her current romantic interest, the electricity-powered Inhuman Lincoln (Luke Mitchell), and her onetime romantic interest turned traitor, Grant Ward (Brett Dalton) - his body inhabited by the Inhuman supervillain Hive - both died in a Quinjet explosion in outer space in order to defeat a doomsday weapon. The episode then doubled-down on the darkness by leaping ahead in time several months, to a world where S.H.I.E.L.D. has been dramatically reorganized and Daisy is once again a fugitive on the run. Bennet's costar on the series, Clark Gregg previously talked about those changes in the power structure of the S.H.I.E.L.D. organization on Agents of S.H.I.E.L.D. and speculated that the events of Captain America: Civil War may have contributed to them. Now, Bennet is teasing the new status quo for her character (along with a changed attitude) on the Marvel/ABC TV show, when it returns for its fourth season. Agents of S.H.I.E.L.D. is fundamentally an ensemble series, but Bennet's character has served as both audience-surrogate and the focus of the series' main mysteries and core story points. Introduced in the pilot episode as a master hacker leading an internet uprising against S.H.I.E.L.D. (and subsequently drafted into Agent Coulson's independent unit), it was later discovered that "Skye" (aka "Mary-Sue Poots") was an orphan sleuthing for redacted information on her birth parents. Season 2 subsequently revealed that she was actually a latent Inhuman (the daughter of the supervillain Mr. Hyde) with vibration powers named Daisy Johnson. In season 3, Daisy attempted to help S.H.I.E.L.D. build a team of Inhuman Secret Warriors only to become a pawn of Hive's mind-control; imperiling her teammates and (presumably) facilitating her fugitive status for Season 4. Bennet's continued presence as one of Agents of S.H.I.E.L.D. 's main players would appear well-assured, though her role in season 4 has yet to be revealed in full. Meanwhile, off-screen, Bennet has kept people talking about the Marvel Cinematic Universe's TV side by calling out the sense of disconnect between the MCU films and TV shows and noting that Marvel's TV series are ahead of the movies, when it comes to featuring greater diversity in terms of cast and crew members. Agents of S.H.I.E.L.D. season 4 begins airing on ABC in Fall 2016.